ProGreen EXPO is the only green industry conference in the Rocky Mountain Region of its kind. More than 6,000 green industry professionals gather every year at the Colorado Convention Center in Denver to gain vital knowledge and skills to improve business, educate employees and discover the latest information for the upcoming season. 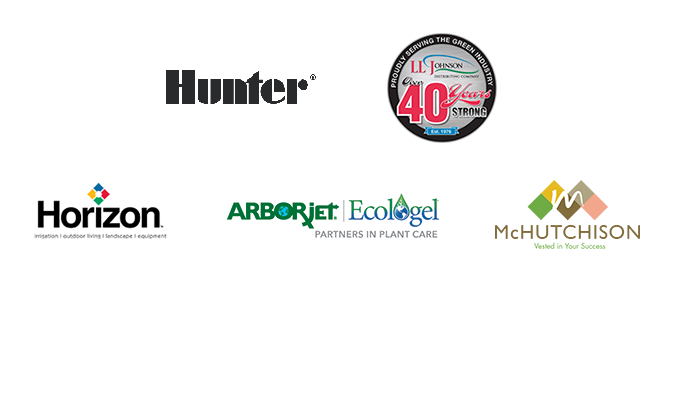 Since 1996, ProGreen EXPO has grown into the place where the green industry meets. Through education, networking, and skill-building, we ensure that our industry remains an asset to communities and an engine of job creation. Tuesday, February 5 | 7:30 a.m. - 4:00 p.m.
Wednesday, February 6 | 7:00 a.m. - 4:00 p.m.
Thursday, February 7 | 7:00 a.m. - 4:00 p.m.
Friday, February 8 | 7:30 a.m. - 12:30 p.m.
DAY 1: Wednesday, February 6 | 10:00 a.m. - 4:00 p.m.
DAY 2: Thursday, February 7 | 9:00 a.m. - 4:00 p.m.
DAY 3: Friday, February 8 | 9:00 a.m. - 12:00 p.m.
"This conference is multiple associations banding together to create something bigger than what could be done separately." "ProGreen EXPO is known as a great place for education and to network." "ProGreen EXPO is a show set-up to help exhibitors succeed." The only authorized attendee lists are available through ProGreen EXPO directly. Please do not purchase attendee lists outside of ProGreen EXPO or Kinsley Meetings staff. There is only one host hotel for 2019 ProGreen EXPO and information is posted through official ProGreen EXPO outlets (Facebook, www.progreenexpo.com/travel/hotel-reservations, ProGreen EXPO printed publications). Offers through housing bureaus or emails outside of Kinsley Meetings are not authorized by our team. Our contracted publications company for advertising in the onsite guide will come from LLM Publications. Offers through any other publication group is not authorized by our team. If you receive any suspicious emails or calls, please report them to progreen@kinsleymeetings.com. Please let us know if you have any questions or concerns.